Hello! 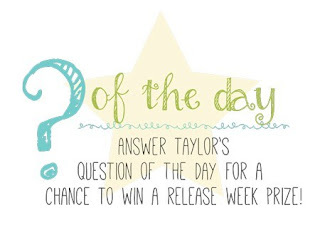 It's Day 3 of sneak peeks from Taylored Expressions and all of the new products will be available tomorrow, June 8th at 7AM PDT! 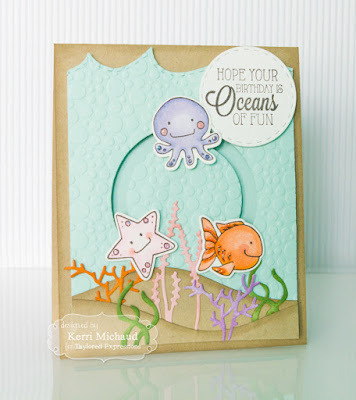 As you can see, this track allows these sweet sea characters from the Oceans of Fun Stamp and Die Combo to move around the circular track:) Love it! To make my scene, I used the On the Right Track Die to cut a piece of Sprinkles cs. 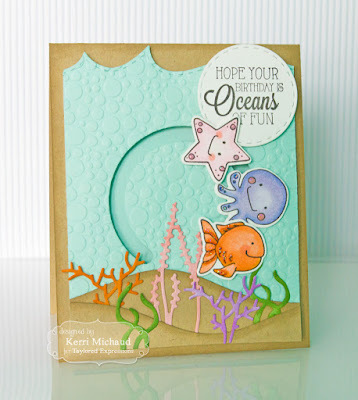 I then cut the top with a Build a Scene Rolling Waves Die, and embossed it with the Bubbles Embossing Folder. I stamped my images from Oceans of Fun with Oreo Ink, colored with Copic Markers and cut them out with the included dies. I then used foam tape and pennies to attach my images to the track. The sandy bottom was cut using the Build a Scene Rolling Hills Dies and some Toffee cs. 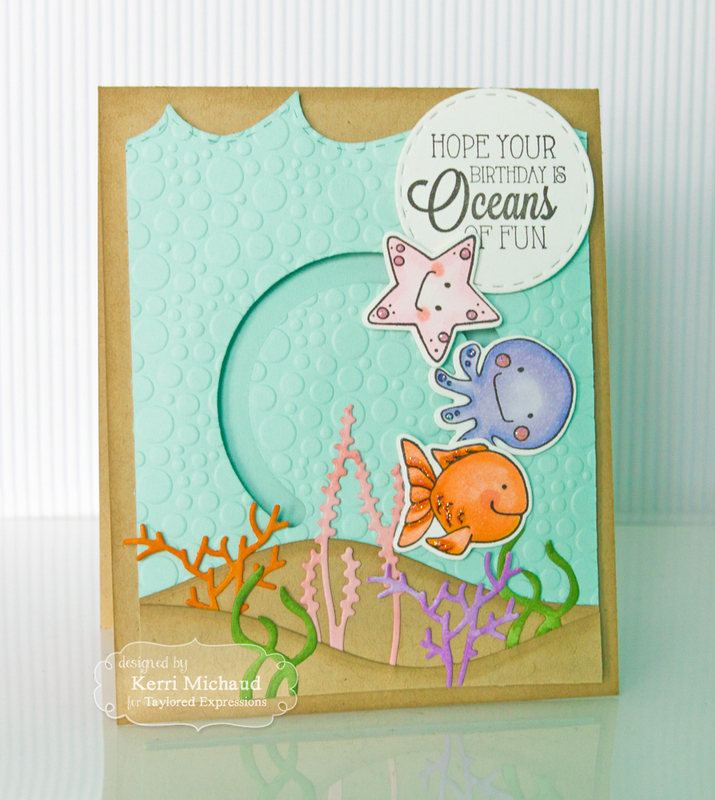 The seaweed and coral were cut with the Build a Scene Underwater Dies. So cute! 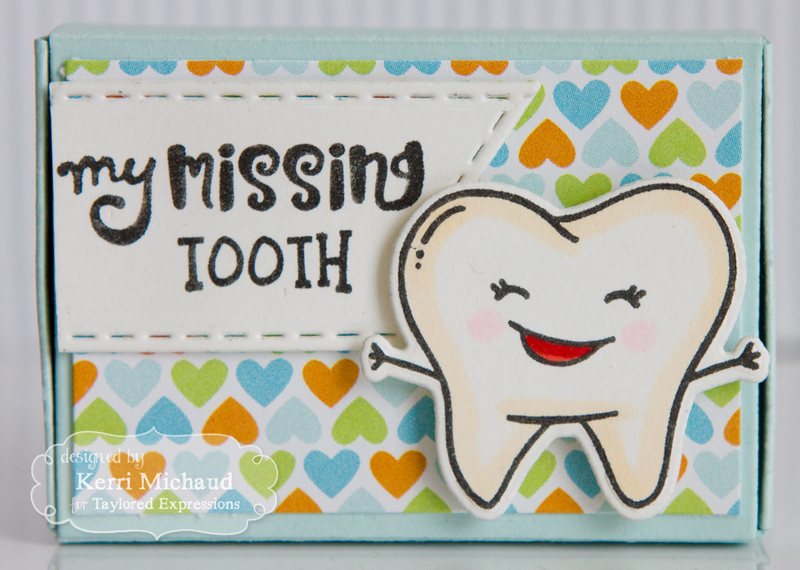 For my next peek, I used the new Tooth Be Told Stamp and Die Combo, along with the Matchbox Die Set to create a fun little box to house those lost teeth:) I started by putting my matchbox together using the Matchbox Dies and some Salt Water Taffy cs. 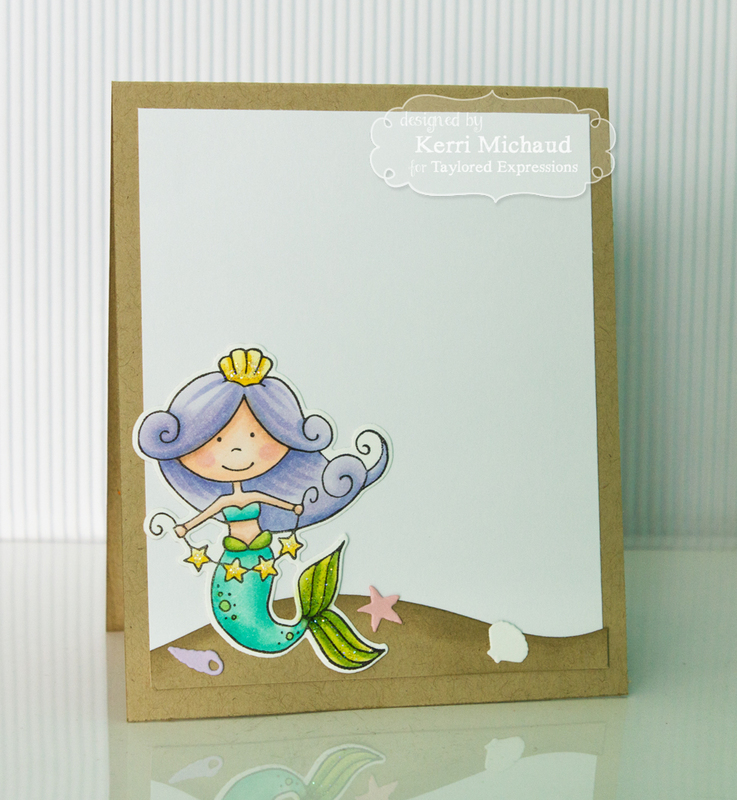 I then added some dp from the TE Double the Joy 6x6 Paper Pack. 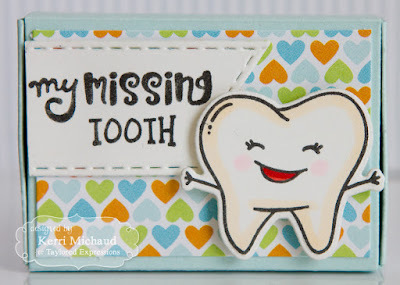 I stamped the tooth with Oreo Ink and colored with Copic Markers. I cut it out with the included die. 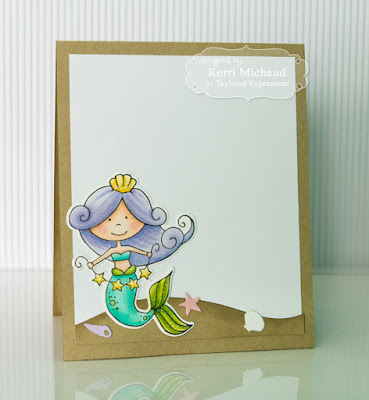 I stamped the sentiment with Oreo Ink and cut it out with a Stitched Banner Stacklets Die.